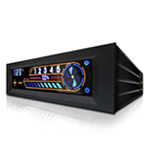 Introducing the Sentry 2, a full system fan controller with an advanced touch screen interface. 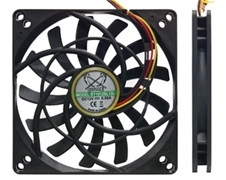 Sentry 2 easily installs in a 5.25: bay and is compatible with any fan that uses voltage control. The innovative touch screen features ultra fast selection and response time and displays all pertinent info including temperature readout in both Celsius and Fahrenheit. Sentry 2 allows users to control up to 5 fans with the option for manually tuning individual fan speeds or letting the automatic controls take over to correspond to a specific temperature. The controller's advanced functionality sounds an alarm to alert the user should the temperature exceed a preset amount and stores saved settings even after it is turned off. 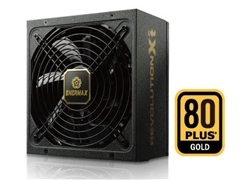 Designed to maximize efficiency, the Sentry 2 supports 10W per channel and creates less heat than traditional temperature displays. NZXT Sentry 2 Touch Screen Fan Controller.